I open collect earth but giving error as the picture What is the reason of this ? This is a bit tricky to debug with so little information. Error log so that you receive an error. 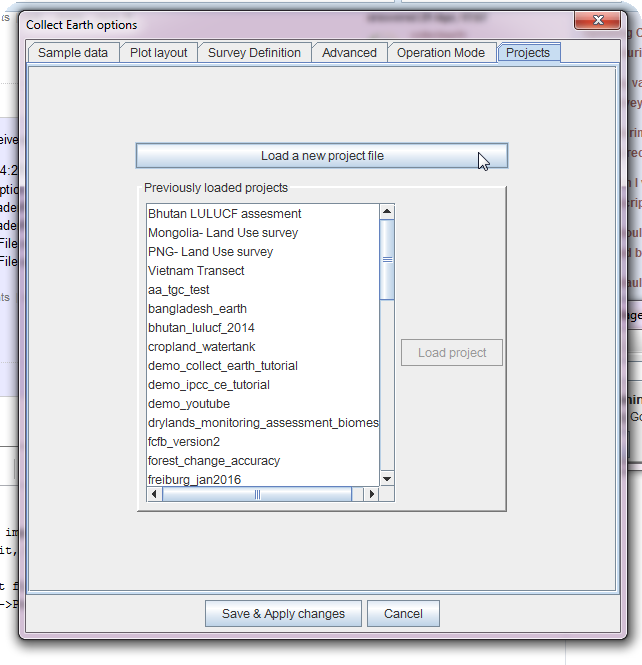 I think you are trying to import a CEP file byusing the Tools->Import/Export Data menu in Collect Earth. This is not theway to do it, that menu is just thought for importing DATA not project files. In order to open a project file CEP in Collect Earth you should just double click on the file, or alternatively go to Tools->Properties and in thedialog moveto the Projects tab and there you can choose the CEP file. Thanks for the answer, i solved the problem. Good work!